Aliens are like buses, you spend ages waiting for one and then 234 come along at once. Or at least, that’s what two astronomers from the Laval University in Quebec are suggesting. Ermanno Borra and his graduate student Eric Trottier have analyzed over 2.5 million stars and galaxies for pulses of light emitted at regular intervals and discovered it in 234 stars similar in size to our Sun. The team believes that alien civilizations are behind those signals. The researchers looked at the Fourier Transform (FT) of the light spectrum. The FT is a mathematical tool that allows us to work out where the components of a signal come from. If the light is a milkshake, by using the FT you get the recipe. 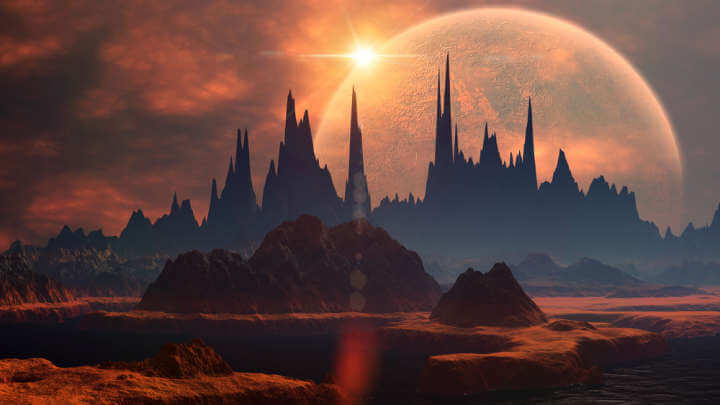 The FT analysis has found periodic modulated components which, according to the scientists, are caused by the super quick light pulses (less than a trillionth of a second) generated by Extraterrestrial Intelligence (ETI). In the paper, available from the Publications of the Astronomical Society of the Pacific, they discard every other explanation such as instrumental effects, rotation of molecules, rapid stellar pulsations, and peculiar chemistry. These superfast pulses will have to be generated by incredibly powerful lasers, like the one at the Lawrence Livermore National Laboratory. Interestingly, in previous publications Borra has stated that this area of astronomy is the least explored, which raises the question on why these aliens would all decide to communicate in such a complicated and energy-consuming way. The researchers admit that although they believe aliens is the most likely explanation, this is yet to be confirmed. The Stephen Hawking-backed project Breakthrough Listen will conduct follow-up observations of these 234 stars, but the team at UC Berkeley, where the project’s science program is based, invite people to be skeptical. “The one in 10,000 objects with unusual spectra seen by Borra and Trottier are certainly worthy of additional study. However, extraordinary claims require extraordinary evidence. It is too early to unequivocally attribute these purported signals to the activities of extraterrestrial civilizations,” the Breakthrough Listen team said in a statement.